Plantains: Cheap. Sweet. Healthy? Nutrition Facts. 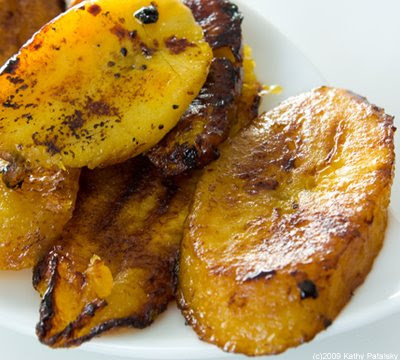 Who doesn't love plantains? Not only are they yummy, sweet and cravable, but they are super cheap! I can get 4/$1 at my local NYC produce market. I always wonder why more "fast food" Mexican restaurants don't include plantains on their menus. Are you listening Chipotle? Plantains for All. I often order a side of plantains whenever I see them on a menu. It's hard to get them wrong. However, the amount of oil used for 'fried' plantains in restaurants really doesn't make me happy or healthy. My answer: I make them at home! 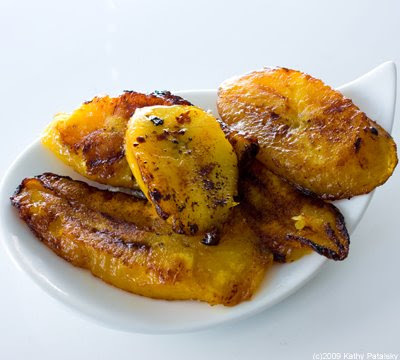 Plantains are super simple to make. Simply lightly grease a pan and saute them in a bit of olive oil. Add some lime juice, agave syrup and salt for flavor accents. I like them sliced in long angled strips. You can also slice them into simple coin shapes. 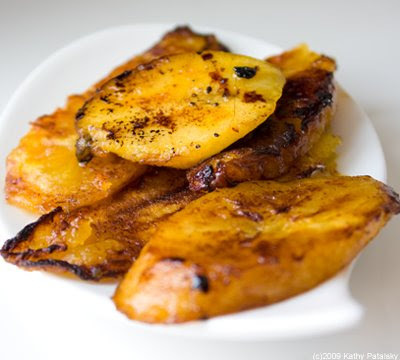 You can even mash plantains as you would a sweet potato. The more oil you use in the cooking process, the more you pack on the calories. So try to keep it light. Plantains are delicious as a Mexican inspired side dish, packed into a burrito or as an ingredient option for fajita night. The natural sweetness of plantains meshes perfectly with a spicy red salsa, the heartiness of whole black beans and alongside some cool creamy guacamole. 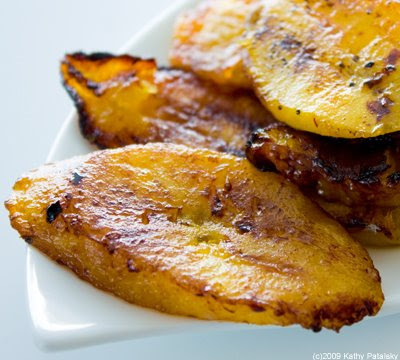 Add plantains to your next Mexican feast! Plantains are a great source of fiber and vitamins C and A. They are also high in vitamin B6, magnesium and folate. 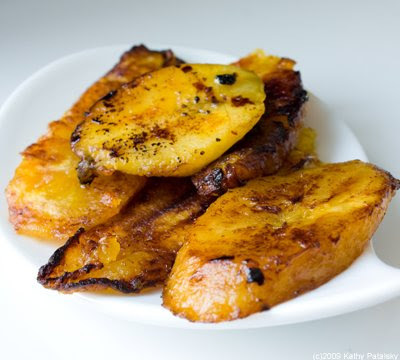 One cup of plantains contains more potassium that one cup of banana slices. 20% RDA in plantains compared to 15% RDA in bananas.